The often complex nature of many projects usually requires a variety of surveying, engineering and environmental assessments. The specialized cross-section of our project seasoned Surveyors, Engineers and highly talented staff allows BPR, Inc. to take care of all of your project needs, in a hands on, in-house atmosphere. This allows you the clarity and simplicity of dealing with a single firm and management team, dedicated to the successful completion of your project. BPR, Inc. makes every effort to avoid complications and unexpected surprises, throughout the processing of your project. Typically of a business related nature and frequently requiring a Site Plan involving a variety of surveying, engineering and design services. BPR, Inc. is adept at providing the expertise and resources to successfully accomplish your goals. If you are purchasing a home, a bank or lending institution may require a Location Drawing. 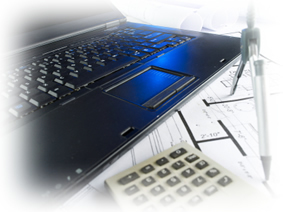 Planning additions or new improvements may indicate the need for a Plot Plan necessary to obtain a building permit. Erecting a fence may dictate a boundary or lot line survey. Construction of a new house will likely require a house/construction stakeout. Well or septic system installation may indicate the need for a topographic survey and/or field stakeout. Trespass issues or questions of land ownership will likely require a boundary survey to resolve these issues. If you are transferring ownership, granting rights or easements, selling a portion of a property, or subdividing a parcel, BPR, Inc. can undertake the surveying and engineering required and prepare the required plats, descriptions or documents. Then BPR, Inc. handles the coordination with any necessary related associates or agencies. Field to finish, with personal attention, and using efficient methods as well as the latest technology and equipment available, enables BPR, Inc. to streamline your project. The result benefits our client by saving both money and time. For more direction on specific services provided by BPR, Inc., visit our specific service pages regarding surveying, engineering and environmental assessments.